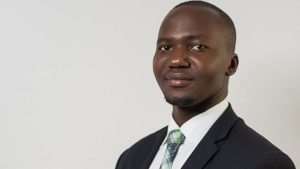 A Ugandan man, who was only six years old when his father lost his land in a legal battle has finally won it back 23 years later, after becoming a lawyer. Jordan Kinyera went through 18 years of education and legal training before taking on the case. On Monday, the High Court delivered a final judgement which ruled in his family’s favour. Mr Kinyera told BBC Newsday that the loss of the family land when he was aged six had changed his life. “I made the decision to become a lawyer later in life but much of it was inspired by events I grew up witnessing, the circumstances and frustrations my family went through during the trial and how it affected us,” Mr Kinyera said. His father was sued by neighbours following a land dispute in 1996 and the case dragged on in court for more than two decades. Mr Kinyera told the BBC that he was happy for his father, who he says hasn’t planted a single seed or laid a single brick in 23 years. Land disputes are widespread in Uganda. According to legal advocacy group Namati, they affect 33-50% of landholders. Many internally displaced Ugandans who return to their home regions after having spent several years in camps, find themselves in land disputes, Mr Kinyera told the BBC. He represents a number of clients in such cases.